Well, it’s here. And it certainly doesn’t disappoint – for us here at Tonic, anyway. For us, after a year filled with economic uncertainty, scandal and gloomy headlines, there’s nothing like a bit of festive sparkle – or a loveable monster – to raise our spirits. The Christmas advert has emerged as one Britain’s biggest media moments in recent years, with retail giants Marks & Spencer, Sainsbury’s and Debenhams among many to invest millions of pounds in creating blockbuster festive ads. But, it is the eager anticipation for one Christmas ad in particular that sparks the most excitement, and that’s the big John Lewis reveal, which is often seen as the launchpad for the festive season. In fact, it has become about so much more than just an advert. A man on the moon, a boxer dog called Buster and Monty the penguin. They’re all household names now, and the team behind the retailer’s latest festive offering are hoping this year’s protagonist will be just as memorable. 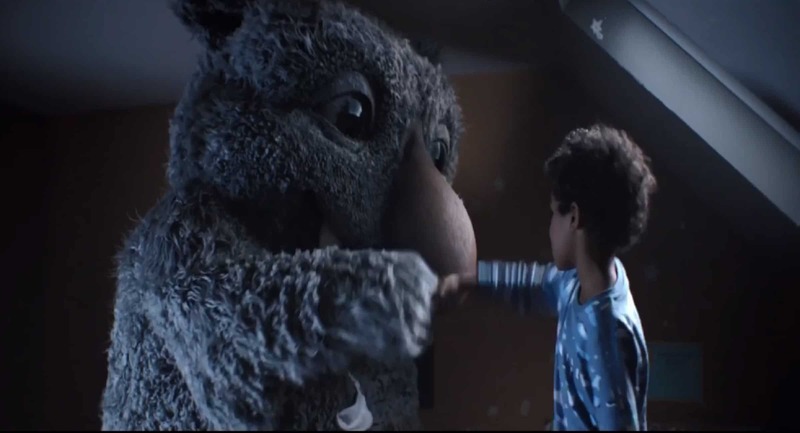 Taking centre stage in 2017’s £7m campaign, filmed by Oscar-winning director Michel Gondry, and featuring a cover of the Beatles’ Golden Slumbers, recorded by Elbow, is Moz the Monster – a huge, yet cuddly, monster who befriends the seven-year-old boy under whose bed he lives. But, what’s enjoyed by most as a heart-warming festive treat, is viewed by others as merely a marketing or retail PR ploy. We’ll forgive you if you agree with that conclusion. As with previous years, the campaign doesn’t begin and end with a two-minute advert. With a range of merchandise and a series of digital and social marketing tools, including a ‘Mozifying’ Facebook filter and an audiobook downloadable via Sky and Google Home, John Lewis has created a multi-channel campaign, all designed to boost sales. Last year, Britain’s retailers suffered a slump in sales, following the uncertainty around Brexit, so we have to assume that all retailers will be pulling out all the stops when it comes to trying to attract customers to spend their hard-earned cash. And, we say, there’s not really anything wrong with that. Others have even criticised the fact John Lewis is donating 10% from the sale of its Moz merchandise to charity partner Barnardo’s, calling for the retailer to “skip the good PR and the merchandise sales” and instead give the £7m spent on the ad campaign directly to charity. Some say it’s simply too early for the Christmas season to begin. We say, this is not a time for cynicism. We say, the annual, nationwide frenzy and excitement over a two-minute advert suggests people are looking for an escape from the more serious things going on in the world. In terms of Corporate Social Responsibility, John Lewis has ticked the PR box by making a donation to Barnardo’s. But, maybe it’s doing more than that, in bringing people together with a heartening tale of a child and his imaginary friend. If you want to creatively reach your audience through PR or social media, with or without a fuzzy monster to launch a new product or campaign, contact The Tonic Communications. We’re always in great spirits.